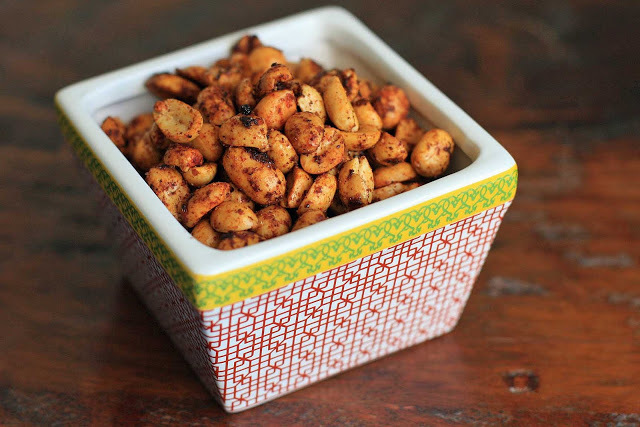 Place the peanuts in a single layer of a large frying or saute pan over medium-high heat. Cook, stirring often, until they become very fragrant. Add the lime juice and stir to mix. Quickly add the paprika, salt, chile powder or cayenne, cumin and sugar and toss well to distribute the spices. Remove to a bowl and let cool before serving.